I have known Neil Remington Abramson since I was six years old, when we lived side by side in Saskatoon, Saskatchewan. We attended the same schools; he was my best friend. As often happens, childhood friendships are fractured by family moves and general distance. I only reconnected with Neil in 2010, when I forwarded him my recollection of the times of the Saskatoon “special class“. Searched, and found out that he had ended up with successful careers in business and academia. A few weeks ago, in Ottawa, we met for the first time in some forty years, relative to my all too infrequent “running back to Saskatoon” behaviours. Wondered why he was now, in many references, “Neil Remington Abramson”, as opposed to the “Neil Abramson” that I remembered. What follows is an e-mail exchange that provided the answer. To be blunt, Neil is the son of William Remington, one of the very few people to ever be convicted of espionage during the McCarthy era. William Remington was murdered in prison, at the age of 37. The only father of Neil whom I ever knew was Edward Abramson, a Professor of Sociology at the University of Saskatchewan. I believe I appreciated that Ed was a stepfather, but never appreciated who Neil’s biological father was, until quite recently. I wanted to do a piece using the above title, wherein I wondered about the Remington, then you mentioned your father had been murdered, and then I found out, via the Wikipedia profile. Then I wanted to go back to some of your e-mail explanations of your emotions here. I will put it together and submit for your approval, but I don’t want to start it if you are opposed to the idea at the outset. Please let me know. “Yes he is” what? What is your intent? I have set out a couple of times to use WWR’s story as a case for my own writing, but it hasn’t come to anything. Either I am not resolved what I would like to say or have not decided what I think. And I have some private opinions based on observing my brother (and me) that my brother doesn’t agree with. And today my daughter was proposing something based on a “Remington gene” – I dunno. Tell me what you have in mind otherwise you might put in a lot of effort and resent, if I turned out unhappy. …since when I search “Neil Abramson”, there are all these other people in different fields–law and film, as examples–that come up, in the midst of trying ot get to your material. “Neil Remington Abramson” results in a clean search. I am inclined to go back in the blog and ensure that your comments are identified as “Neil Remington Abramson”, since a lot get buried, searchwise, if there is no Remington. Your thoughts? (1) I decided to use the name “Neil Remington Abramson to indicate what I regarded as a significant “turn” in my professional writing. Originally, I had set out to do my PhD in business ethics, but circumstances rerouted me into comparative management and international business. In 2000, I had a medical situation that my doctors told me almost resulted in my death. I realized that one’s life could end unexpectedly at any time. Before that, I had always intended at some point to return to business ethics. Afterwards, I realized that I must make the most important things to me my first priority. My previous work was reasonably interesting and some had even found its way into top journals, but it was not what I hoped to do. I changed my writing name to signify that what I now intended to publish represented a change for me. All my ethical work is now being signed this way. I am tempted to hyphenate it. This is the important reason. And interestingly, in a paper I wrote recently, I was citing an earlier paper in the bibliography under Abramson, and a later under Remington Abramson. However, I think I just deleted the earlier one in the end. I also feel more comfortable citing my own work as “Remington Abramson” rather than “Abramson” because an “Abramson” citation is often the first one in the Bibliography, but the bibliography lists those to whom I am indebted for what I am writing so it seems inappropriate to cite myself ahead of them. (2) I do have two fathers and this acknowledges that. It I had it to do over (but I was only 7 at the time), I might have chosen to remain Neil A. Remington. By the time my adopted father died, I was pleased to be his son. I might have done the hyphen thing later quite willingly. I suspect that temperamentally I am more like Remington than Abramson. I could, of course, legally change my name back but I think this would be inappropriate. Hammurabi’s Code states that the father is the one who raised you up, and not the one who fathered you. It was Ed who did that, and I am indebted to him far more than to WW Remington. The research tells us that personality is father dominant, as I may have mentioned earlier, so “I suspect that temperamentally I am more like Remington than Abramson” is not at all fanciful. Haynes and Klehr (2006). Early Cold War Spies: The Espionage Trials That Shaped American Politics , Cambridge U.
Zion (1988). The Autobiography of Roy Cohn. Lyle Stuart Inc.
1st one says when the Kremlin files opened a memo listed William Remington as one of their sources, and when the US cracked the Soviet diplomatic codes, it validated Elizabeth Bentley, his original accuser. 2nd is the lawyer who developed the strategy to convict WWR. It’s pretty harsh. I guess what I didn’t know from my mother is that WWR’s wins in court were on technicalities. He won the Loyalty Board appeal because Bentley wouldn’t testify. He won the libel suit against NBC because they paid what they thought would be their court costs. He won the appeal on his original conviction because the judge’s instructiOns to the jury as to what constituted membership in the CPUSA were too vague. So I guess I’m glad my mother didn’t live to see all this extra subsequent stuff. Alger Hiss’ family sued the US long after his death for unfair legal process in his conviction and then after 1991 the Kremlin files came out and there was lots of documentation he really was a spy all along. When my mother died (1994) this was still not known. I have a half-brother, also named Bruce, who is some ways he’s a bit of a mirror for me. He’s 11 years older – we share the same father but he had the original wife as his mother. His mother was Anne Remington whose testimony convicted her husband and ultimately led to his death in prison. I gather she suffered from that and spent many years in counseling. You never knew my brother, because he grew up with his mother and I with mine, after our father died. He showed up in Saskatoon in a hippie van when I was around 18-19, though he later became a Republican and, lately, a Tea Partier. Me, I’m a Vidalian Republican, on the other side of my joint citizenship. Since the research seems to show that personalities are father-dominant (as is musical and mathematical abilities, I believe), it is understandable that whatever strains in your relationship with your brother end up mellowing to some sort of common understanding. I find the same with my own brother. I don’t know anything about such father research (does it apply to daughters as well as sons?). I think that from what I know, Bruce + Neil = their father, in terms of his interests and capabilities. And my brother is an alternate path that I might have taken (and was on for years), and a warning in terms of negatives that I have the potential for as well. I think that one of the characteristics is a certain obsessiveness, and a singleminded determination that does not listen to others’ negative opinions about it. I notice that in my daughter as well. We tend to be convinced of the rightness of what we are doing, and to stay on course even in the face of difficulties. A major difference between my brother (and WWR) and I is that he/they are big risk takers – maybe gamblers – whereas I think I have inherited a more cautious nature from my mother’s side, which was (Prussian) German American. My mother was a psychologist, who ran her own polling company in Washigton DC. Then, after my father died, she was an advertising executive in NYC. She turned down management of the McCann Erickson office in Germany to marry Ed. When she came to Saskatoon she didn’t work till I was 10 likely to support me – so she worked in and/ran some volunteer stuff like Mardi Gras. Then she worked as a researcher in a research firm in Saskatoon doing government research, and then got a prof job at USask in Continuing education, and then Prof of Social Work at UVic. She wasn’t working most of the years you would have known her but those were the only ones she wasn’t. …and for how long were you in daycare? You were the child of his second marriage? Apart from brother Bruce, are you connected with any of your father’s family? Is this where the Remington middle name comes from? I never knew, or at least I don’t recall. I was born Neil Alben Remington. I was placed in daycare after my father was murdered when I was almost 18 months old. My mother remarried Edward Abramson when I was 4 and he adopted me when I was 7 in Saskatoon. In Hammurabi’s code, the father who brings you up is the real father, no doubt since so many men died early in accidents and wars. But on the other hand, given the influence of genetics (and there are many things about my half-brother that remind both me and my wife Haruyo of me), I don’t think I escape the influence of my father so easily even though he died so early for me. I have often suspected that his personality must have been different from that of my mother and Ed because I often felt somewhat estranged from them in terms of interests and the way I reacted to things. Its too bad you have no interest or knowledge of the MBTI/Keirsey stuff, because it is a convenient shorthand for stuff cumbersome to explain. I think WWR was probably an NF, as am I. I suppose my brother is either an NF or an SF. My mother and Ed were probably both T’s, by contrast, and perhaps they didn’t see things quite the way I did. Remington is a bit fancy. The first one arrived in the Colonies that became America in about 1639 and it was an important family in Yorkshire, England, with its own crest. On my father’s mother’s side, the Sutherlands were clipper ship builders in Granville Ferry, NS. They were Empire Loyalists during the Revolution. Her father was an Anglican priest. So I am a WASP on my father’s side, English if we follow the father’s line of descent. My father preferred to consider himself a Scot, following his mother’s lineage because apparently he wasn’t very respectful of his father who was in the insurance industry. My mother’s family, both sides, was from Berlin/Brandenburg area, so my other half is Prussian German. So I am more that than anything. I tell my students I am descended from the two great civilizing forces of Western Europe: (1) the Vikings (through the Highland Scots), and; the Prussians, since one must clear away the old to have space for the new. My brother says there is a 10% chance we are related to Frederic Remington, the wild west painter and sculptor. The genealogy has not been done and it won’t be me doing it. If not, and if it is not too disturbing, what were the circumstances of his murder, and were the perpetrators caught? 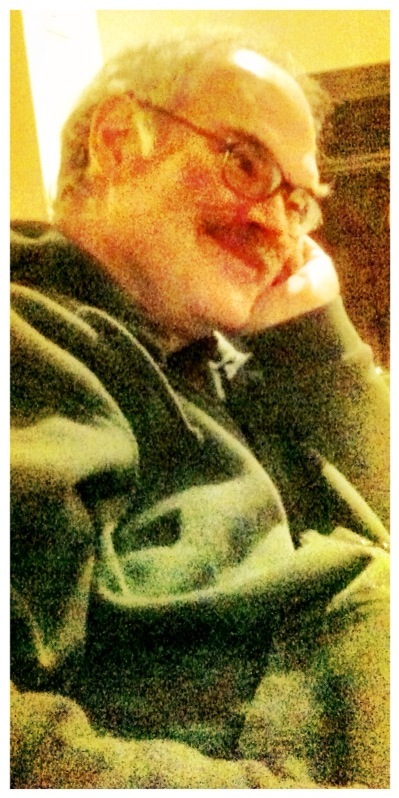 That’s my father, William Walter Remington. All the details are in a book by Gary May, Un-American Activities. Of course the perpetrators were caught – they were in a prison – and are all likely either out long ago or more likely all dead of old age by now. Subject: Re: Is this him? Imagine having him as a father. Imagine one brother is the son of Ann, the woman whose testimony put him in prison where he died. The other brother is the son of the woman who stood by him beyond the end. Presumably both were injured but one was 13 and the other, lucky for him, was only 1.5 and hopefully largely unaware till years later. On the other hand, Freud said the personality is fully formed by the age of two. If that is the case, there is no escape, but if there is no escape then how do you know what there is to escape from. A 1.5 year old surely cannot know what damage was done psychically. By the time he realizes the possibility, how can one go back to see? And I have no respect in any event for those who claim their lives were ruined by some childhood experience. One must try to do one’s best with what one has. When you reconnected with your brother, what was his attitude towards his mother? What was his attitude towards your mother, and your mother’s attitude towards him? From the Wikipedia photo, I believe that you have a lot of your father’s facial features (plus, of course, his personality, if you believe that research direction). What is your view? Bruce is convinced his father was a spy and perjured himself and got what he basically deserved as a communist. He regards my mother’s view as naive propaganda. My view is intermediate. I think if you could take Bruce (the obstinate doer, builder, inventor, battler) and Neil (the intellectual, value oriented, whatever – also battler when necessary but more indirect if possible) and schmush them into one, it might be a replica Bill. The age of gold degenerates to the age of silver, then bronze, iron, lead. I think Bill was better than us but he was so arrogantly bright, thinking himself so much cleverer than others that it made him stupid. I used to see some of that in myself too, and maybe it is still there somewhere but it is very much the original sin and hubris the Judaeo-Christian theology warns about. Bruce is very much that way as well but either doesn’t see it or doesn’t regard it as a fault. The Wikipedia entry made reference to the fact that your father came from an impoverished background. So it seems unlikely that he would have accumulated enough wealth to pay for counsel during the numerous trials and appeals? Who paid for his defence? Bill’s impoverished status is debatable. He came from a middle class family that lived in New Jersey. His father was an executive and his mother a school teacher. If they considered themselves poor, it was for two reasons: (1) rich relatives to compare themselves against; and (2) his father retired early and they lived on fixed pensions that became less as inflation ate them away. He became poor in the sense that he wanted to stand on his own feet, exiled from the government income and going through a divorce. When I was separated and paying child support, I had no money for several years as well. My parents used to offer me money, especially my mother, but after age 21 I stopped wanting to accept it because I wanted to stand on my own to see if I could, which I could. Bill’s mother’s family were the family of the former clippership builders, and their fortune was fading out, but they were likely middle class. Bill’s father made the mistake of retiring early at 58, with a bad heart, though he lived to 85. The pension was fixed so of course its value declined over time. But they lived in a nice house, in a nice neighborhood. They had a summer place in VA. Likely they were hurting as the years went by and Bill’s mother was 19 years younger so she probably had ambitions the old man didn’t and could less and less afford. I think personally its better if a couple is of similar ages. His case was financed by some liberal organization, I forget which, and he was impoverished in the sense that he had to act as the clerk and assistant because the fund paid for the lawyering time only. It’s all covered in that Unamerican Activities book by Gary May. I wonder if “railroaded” is the right term. It’s true his wife was hounded in the grand jury to testify against him. There was a secret deal between the head of the grand jury (Brunini) and the star witness (Elizabeth Bentley) for a book deal contingent on bringing in an indictment. The prosecution subsequently knew this and tried to conceal it. The defense found it out and the judiciary ignored it in the court of appeals, 2-1. But WWR also contributed mightily to his own downfall. And I, remembering Confucius that when one sees someone better than oneself, one should emulate, but when one sees someone one thinks oneself better than, one should search oneself to see if one shares the same fault – then I start to understand WWR better by how I might have behaved in similar ways and have done so in different circumstances. Half his genetic dispositions are presumably mine. Even setting out not to make the same mistakes, one makes different ones that tend to be of the same classification. Are you familiar with The Fall by Albert Camus? I wonder if such would be an interesting approach to writing about WWR. Or maybe as a Platonic style dialogue? Or maybe I could write a novel interspersing the son’s struggle for contract renewal, tenure, and promotion with the father’s struggle to avoid conviction as a spy. Perhaps by understanding the son’s sins, one could throw some light on the father, and vice versa. I wonder if such a futile quest has any value in whatever the greater scheme of things is? I think it might be an excellent backdrop for pursuing a better understanding of Kierkegaard’s ethical philosophy, particularly my favorite “Purity of Heart is to Will One Thing” on how you screw yourself up pursuing rewards and fleeing punishments, or the aesthetic vs the ethical spheres of moral reasoning. And the back-and-forth between the father and the son conforms to Kierkegaard’s dictum that through confession one may pass through to a greater purity. I wonder if WWR despaired in the end. Certainly I have, though often cheerfully. This is pointed out by Kierkegaard too – that good cheer is oftern despair’s best hiding place, since it hides in one’s unconscious in its early stages. In Kierkegaardian terms, I think WWR played the Communist radical at university, probably play-acting the part to learn what it entailed and to decide if he was one. Later, he became the right-wing anti-Communist and played that part vigorously as well. I have played parts to learn them as well – I have been a member of all three main political parties here in Canada at one time (NDP, Conservative, Liberal) in order to see what they entailed. I am pretty convinced that if WWR said he was not really a Communists then he was not in his own mind, but if one plays a part too well on the stage of life, the audience is convinced that they see the character and not the actor pretending. In the MBTI parlance, he was probably an ENFJ for whom all positions are potentially equally valid, and who believes in the complementarity of opposites – not a dualist in other words. I am a lot like that as well. I see connections between ideas and beliefs whose adherents would be willing to fight to the death to protect the dissimilarities. 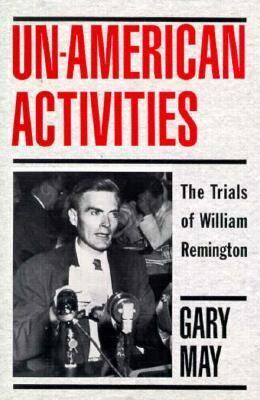 I have been reviewing Gary May’s book Un-American Activities about my father’s (WWR) struggles. My brother has a pretty negative attitude about WWR, not surprising perhaps since his mother was 1 of 2 star witnesses for the prosecution. He assumes my attitude is unrealisticly positive because my mother was the other woman who stood by him beyond the end. I find myself somewhat ambivalent. In some ways I think I can triangulate his secret inwardness from my brother and myself. I occasionally think I might write about him but last time I tried I couldn’t, and my brother says it would have no value and I should just move on. Wish I could discuss my opinions with my mother and even WWR. Insight is difficult from so afar. I have pretty ambivalent feelings/thoughts about my father. My mother always took the position that he was not guilty and was unjustly treated. I would agree with the latter. As for the former, I wonder. My brother’s position is that he was guilty, got what he deserved (prison), and as for being murdered… I wonder. I used to think that if I triangulated between my brother and myself, I would be closer to understanding. My brother is absolutely convinced he is right even when it is in doubt or when he is demonstrably wrong, when he denies the demonstrableness. I suppose I am much more likely to go with what I think than critics. My brother is a gambler. He is convinced that he will win even in a losing position. I also struggle hardest in losing positions and have won a few of them, but I am not a gambler. Perhaps gamblers are tacticians and non=gamblers imagine themselves strategists. My wife likes my brother, because he reminds her of me. So, I can imagine that Bill Remington cooperated with Bentley, being pretty convinced it was a gamble he would win. And likely he felt the same way about the final outcome of his travails. He was not a communist in the same way that I am not a capitalist despise being in a business school and teaching capitalism to the aspirants and acolytes.. I know it but the distinctions are fine and might not be apparent to those I associate with. I guess he always went with his own opinion, was a gambler, and obsessive. If I was going to write a book about my father, I guess it would be psychological/ethical as much as anything. And it would be as much about my struggle to understand him as about him himself. At the moment, it would end rather like a Japanese novel, sort of in the middle, and without a conclusion other than what you intuit. I wish he had had the guts to confess, atone, and accept the injustice of the justice meted out to him in a fearful McCarthian society. I think he fought because he was afraid and felt himself cornered. He fought to rehabilitate his image of himself as one of the “best and brightest” as Kennedy used to say, He died because he could not accept the consequences of his own actions – that he was hated for the appearance he had created. Will the eidetic truth of who and what he really was ever be surfaced? Would it matter, or even be heard, if it did? I think that, technically, he was not convicted of espionage, though he was tried for it. He was convicted for perjury in statements that he made, while defending himself on the espionage case. He stated that he had not been a member of left-leaning organizatuions while an undergraduate student at Dartmouth, which he had. I think he was also convicted of passing classified information to Elizabeth Bentley, the Russian spymaster, though not necessarily with the intention of being a spy. Postscript, May 11, 2012: It would appear that the evidence of Alger Hiss being a Soviet spy is still subject to debate. It also appears that the defamation action was initiated by Hiss personally, rather than by his family. This entry was posted in Politics - United States, Saskatoon Reflections. Bookmark the permalink. I was a bit harsh on Ann as a gun-toting Republican. I think Bruce introduced us because he expected sparks to fly, and expressed his disappointment when they didn’t. I took an immediate liking to Ann. I couldn’t say why, but I felt comfortable with her. She struck me as being a very honest person. I thought maybe I could see why Bill would have liked her, too. Maybe that’s part of your personality business, from father to son. I really don’t have anything against flag-flying, gun-toting, hard-drinking Republicans. I think they might even be more honest than the liberal sophisticates, who find fancy ways to endorse you that really condemn you behind your back. I think personally that George III (Bush) has been much rehabilitated as a president, through his successor’s intransigent foibles. It’s important to note that Remington was convicted of perjury, not espionage, and I don’t believe he was an authentic Soviet agent. Like many on the left, he may have assisted the Soviet Union, as our wartime ally. I think most historians would agree that if Russia had collapsed, Hitler would have won World War 2. Bill Remington was certainly a tragic figure, who didn’t deserve everything that happened to him.